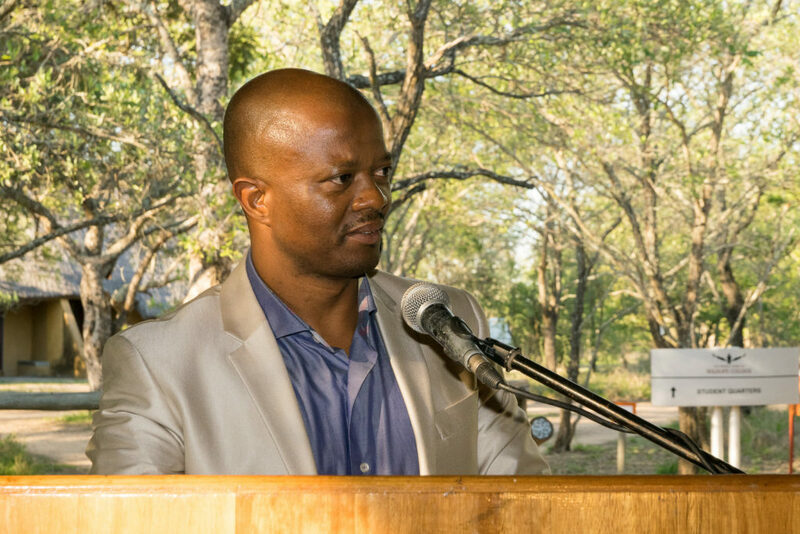 It is with an extremely heavy heart that the Southern African Wildlife College advises of the loss of our fellow Board Member and friend, Mr. Ernest Mokganedi who was tragically killed in a motorbike accident over the weekend (Saturday 28th July, 2018). Ernest, Director of Transfrontier Conservation Areas in the Department of Environmental Affairs in South Africa, loved life and lived true to the five mottos of the Tshwane Legends Bikers Club; Family-hood, Brother-hood, Respect, Love and Discipline. He was a Director of the College’s Board since 2007 and was an active member of the risk and audit committee. He often lent his support when working through strategic issues and was incredibly supportive of the College’s work. “He will be sorely missed in so many ways, said SAWC CEO, Theresa Sowry. We extend our sincere condolences to his family, his colleagues, his friends, and everyone who knew this vibrant yet gentle and insightful man. South Africa has lost a true conservationist who was instrumental in establishing, managing and extending the Transfrontier Conservation Areas (TFCA’s) and ensuring that the countries and communities linked through TFCA’s benefitted. According to a statement by the Department, he led numerous multi-stakeholder forums in implementing the complex cross-border conservation areas, and had chaired numerous international meetings, coordinated planning, financing and the development of infrastructure projects within the TFCA. In his private life, and given his love for biking, he led a drive to promote unity between motorcyclists in the SADC region. Members of the TLB Club recently visited Namibia and Botswana to promote tourism in the Kavango Zambezi Transfrontier Conservation Area (KAZA TFCA). We wish his two fellow bikers, who were injured in the accident, a strong recovery. Rest in Peace dear friend. We will miss you.